The Galapagos Islands are one of the few places left in the world where you can dive among a wide variety of marine life in protected waters. Whale sharks, hammerheads, manta rays, sting rays, sea lions, turtles, dolphins, and schools of fish thrive in the Galapagos marine reserve and coral reefs around the islands. Darwin Island regularly earns praise as one of the top dives in the world, as does Darwin Arch and Wolf Island. 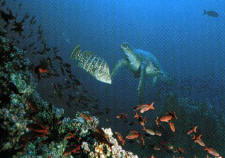 Some of the best Galapagos diving is in the Galapagos marine reserve. With more than 40 miles of protected ocean, it is one of the world’s largest protected marine areas, providing a sanctuary for Galapagos penguins, sea lions, fur seals, turtles, sharks, marine iguanas and other marine life. Many spectacular encounters with marine life can be had just a few feet off the shore. 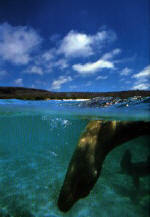 Snorkeling is fantastic in the Galapagos Islands and a great activity for families. 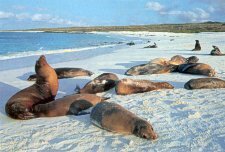 Many Galapagos family tours offer snorkeling or can arrange trips for travelers. Popular snorkeling spots include Devil’s Crown, a sunken volcanic crater that attracts playful sea lions that enjoy blowing bubbles into snorkelers’ faces; Pinnacle Rock, where bright parrot fish and Galapagos penguins glide gracefully through the water; and Xarifa, or Turtle Rock, which is a great place to see white-tip reef sharks, scorpion fish, sting rays, and, of course, sea turtles. A major advantage of diving the Galapagos via a yacht tour is the fact that you get to combine a terrestrial tour with an underwater tour. 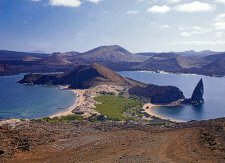 If you are traveling with those who are not avid divers, then they can enjoy the full tour of the visitor sites of the Galapagos Islands, and you can too. Most live-aboard dive boat tours have a mixed daily schedule, visiting two islands a day. After or before going to the trails on the islands, they often snorkel or dive. Sometimes the itineraries give an option: for those that are diving, it's under the water; for those that are land-lovers, to the island's visitor site. 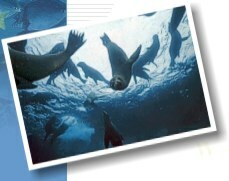 Likewise, some live-aboard tours can be specially chartered as diving only tours, or customized for a blend of tours. Comfort is another major advantage of live-aboard diving. While on most dives, you get out of the water, take off equipment and sit on the boat for an hour or more until you get back to port. For those that choose a live-aboard diving, its only a short dingy ride to arrive at the boat, where your fresh water shower, dry comfy clothes and meals await you. New regulations have changed the diving experience in the Galapagos. Now only certified dive ships can operate dives. So we rendezvous with them at different locations to provide the dive experience for you. The dive masters are well trained and knowledgeable about life below and above water. 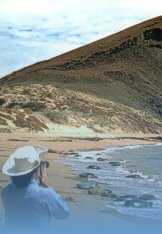 Their job is to teach about the unique Galapagos environment and to take care of the visitor's safety and enjoyment. They will make diving a complete learning experience. "For me, Galapagos is quite simply the most exciting diving I have ever done"
Warning: diving in the Galapagos is recommended for experienced divers only. Most of the good diving sites have strong currents, surge and cold waters.